Back again where I explore my long history with Blizzard and what I knew about Titan! Game News: Persona 5 looks awesome, Uncharted 4 is getting awesome reviews, Call of Duty gets an awesome remaster of Modern Warfare, everything is awesome! Gametalk: I give you an overview of my interaction with Blizzard over the years, what I learned about Titan, and how it was turned into Overwatch. Show Mail: I answer all your crazy questions. Final Thoughts: I tell you about a game that nobody knows about and is awesome! Download the show (74 minutes): Gaming Steve Episode 77. Subscribe to the Podcast directly in iTunes. Gaming Steve Episode 76 – What is Nintendo Doing? Back again with big Nintendo DX news and why does Nintendo resist exploiting their properties? Game News: Nintendo NX to be released March 2017, Uncharted 4 leaks into the wild, and lots of Blizzard news. Gametalk: I give my thoughts on the latest Hearthstone expansion, Battlezone 98, Endless Legend, and Pathfinder Adventures. Final Thoughts: Next week is the big Blizzard week where I tell all I know! Download the show (60 minutes): Gaming Steve Episode 76. 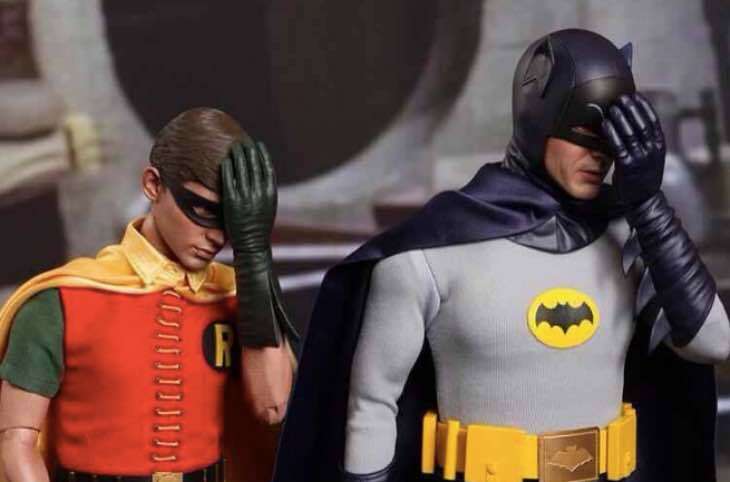 Gaming Steve Episode 75 – Surprise! This week I come out of nowhere and give you the latest gaming news! Game News: PlayStation 4.5 coming soon plus tons of Blizzard news. 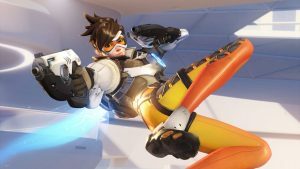 Gametalk: I give my thoughts on Overwatch, Dark Souls III, Enter the Gungeon, and Sorcery! Parts 1-3. Show Mail: I answer all your burning questions. Final Thoughts: How long until the next show? Place your bets! Download the show (51 minutes): Gaming Steve Episode 75. This week I have a big “Name that Game” contest where I give out lots of good prizes! Check it out. Game News: Remember kids, don’t pre-order games (unless you can easily return them). Gametalk: After you purchase 50 games from the Summer Steam Sale how do you get to play them all? Show Mail: I answer your burning questions. Name That Game: The contest is back and with some huge prizes this week! Final Thoughts: Wow, a short show, that never happens. Download the show (42 minutes): Gaming Steve Episode 74. Is it the Olympic Games? Halley’s Comet? A UFO sighting? No it’s another episode of Gaming Steve! Who is this Steve person? Why I decided to bring back the show? Coverage of all the major conferences. Show mail! (how did that happen?). Download the show (98 minutes): Gaming Steve Episode 73. Sure it’s been 2+ years since my last podcast! Err … sorry everyone. But better late than never! And maybe I’ll do another one soon! Enjoy the show! Why did Microsoft lose my trust? Why was the Sony press conference so boring? Will Steve ever do another podcast ever again or will you need to wait another 2+ years? This and many more questions will finally be answered! Download the show (61 minutes): Gaming Steve Episode 72 (MP3). The Game Developers Conference has come to an end and I’ve put together a fantastic roundtable to recap the show. On the show I have Brent Lassi from VirginWorlds.com, Michael Zenke from Slashdot and Massively.com, and Michael Gordon Shapiro from MikeMusic.com (and the man responsible for the Gaming Steve theme song). Mike even sings a bit of his theme song on the show … something to behold. Enjoy! How on earth did one guy create an MMORPG with a player base of 1.8 million people? The Chronicles of Spellborn is still alive and kicking. What are Cryptic Studios and Jack Emmert up to? What did game designers rant about this year? Why do game developers dress so poorly? 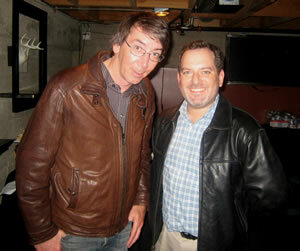 What crazy game did Steve Meretzky design at this year’s Game Design Challenge? WebWars: EVE sounds freaking awesome. Why is Age of Conan – Hyborian Adventures going for an M-rating? Why is GDC the place to be if you want to get into the game industry. Finally, we get all goofy after three intense days. Download the show (56 minutes): Gaming Steve Episode 71 (MP3). Sorry I didn’t have a show yesterday as I was having “hardware issues”. But I’m back today with a quick recap of GDC 2008 days 1 and 2, plus a little interview with Spore Producer Caryl Shaw. Caryl sat down with me to talk all things Spore for a good half hour, so stop reading this and start listening to the show. Enjoy! Xbox 360 finally allows anyone to develop for their system. Ninja Gaiden II gets dated. Peter Molyneux does his snake-oil dance for Fable 2 … and we eat it up. Gears of War 2 is announced and dated, guess the rumors were true. Jack Emmert goes off on MMO developers. Interview with Caryl Shaw, Producer for Spore from Maxis. Download the show (48 minutes): Gaming Steve Episode 70 (MP3). After years of waiting, dreaming, speculating, hoping, wishing, fantasizing, and talking about Spore, we finally get … a release date! Sure it’s still seven months away, but now we all have something to look forward to for the next seven months! 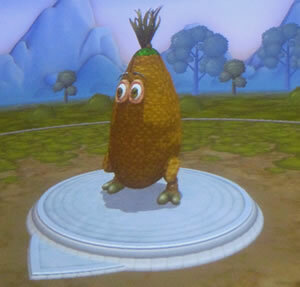 Just think, seven months of waiting, dreaming, speculating, hoping, wishing, fantasizing, and talking about Spore! Oh yeah, and lots of other news, I prepare for next week’s Game Developers Conference, and something terrible happens to my Wii … and Spore! Enjoy the show! 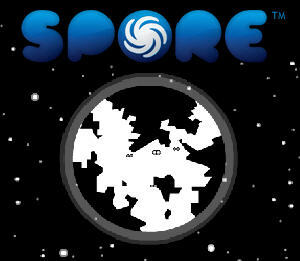 Spore is coming! Spore is coming! Lots and lots of Spore-related news! Blizzard surprises people by announcing their cancelled games? Banjo Kazooie 3 to appear in 2008, hopefully. 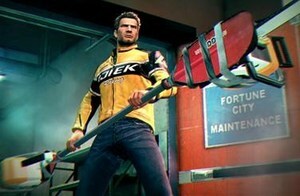 ESRB reports lower percentage of Mature games. Puzzle Quest sequel coming in 2008. Ubisoft smacks Bratz for $13 million. You go girl! Mass Effect PC-bound this May, nobody is surprised. EA Sports extends their NFL monopoly until 2013, nobody is surprised. Command & Conquer: Red Alert 3 is announced for the PC, Xbox 360, PS3 and is nearly complete, everyone is surprised! Cryptic Studios is bringing Champions Online to PCs and consoles, everyone is surprised! 00:40:24 Review: Uncharted: Drake’s Fortune for the PlayStation 3. 00:47:06 Name That Game: A new contest and new rules! 00:51:25 Show Mail: I answer your audio and text questions. 01:23:11 Final Thoughts: I’m getting ready for next week’s GDC, and the unthinkable happens to my Wii! The horror! Download the show (90 minutes): Gaming Steve Episode 69 (MP3). The first new show of 2008 and it’s a fun one! 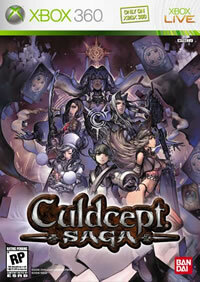 This week I have Nobu Taguchi from Namco Bandai Games on the show to chat about the very cool Culdcept Saga. And make sure to check out this week’s Show Mail where I’m giving out four free copies of Culdcept Saga! Enjoy the show! Star Wars in Soul Calibur IV … what? Over one million get Wii Fit. GoldenEye to appear on XBLA? Don’t count on it. Assassin’s Creed DS leaks info and the Internet explodes. Xbox Live lawsuit muzzles Microsoft. Surprise! 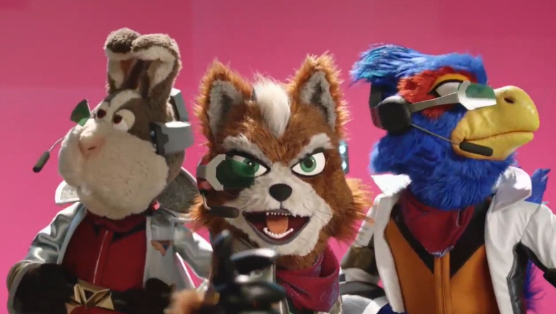 Smash Bros. Brawl delayed again … okay, nobody is really surprised. Spore and Call of Duty 4 confirmed for Macs. Uwe Boll returning to low-budget projects … or is he? Nintendo to explode with new releases in 2008. Master Chief not starring in Halo movie? Why is everyone so surprised? 00:43:31 Interview: Nobu Taguchi, localization producer for Culdcept Saga from Namco Bandai Games. 01:09:33 Name That Game: I’m giving away four free copies of Culdcept Saga, find out how to win yours! 01:11:51 Show Mail: I answer your audio and text questions. 01:35:40 Final Thoughts: Everyone all rested up after the holidays as here come the glut of games! Download the show (102 minutes): Gaming Steve Episode 68 (MP3). 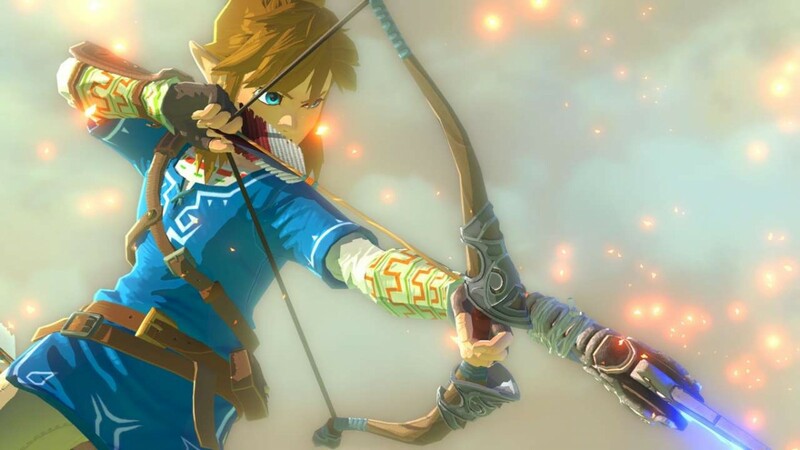 Lanette on Gaming Steve Episode 76 – What is Nintendo Doing? Albert on Gaming Steve Episode 75 – Surprise!